Oh yes!! We made it! Check Volume 2 of the highly acclaimed HiPNOTT Records Takeover 2010 mixtape series, featuring The Movement Fam's G.C. produced banger 'Seasons Change'. Download it FREE below! HiPNOTT Records delivers Vol. 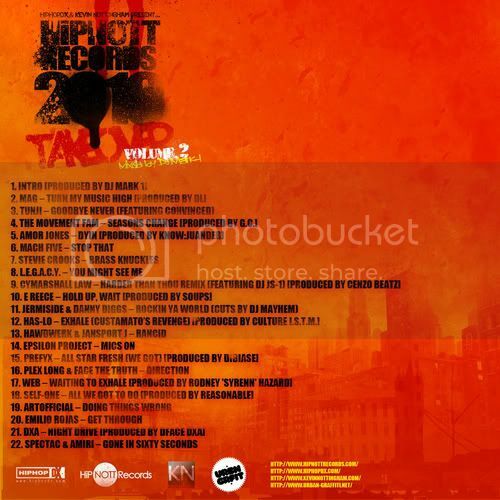 2 of their two-part 2010 Takeover free download mixtape series. Presented by HIPHOPDX.com and KevinNottingam.com, this 22-track lyrically driven hip-hop montage is skillfully mixed by DJ Mark-1, who also created the intro, and displays a combination of emerging label signees alongside several hip-hop heavyweights. While Vol. 1 hit listeners with an aggressive trunk worthy hip-hop energy, Vol. 2 provides its antithesis with a more laid back, thought provoking, headphone hip-hop sound. 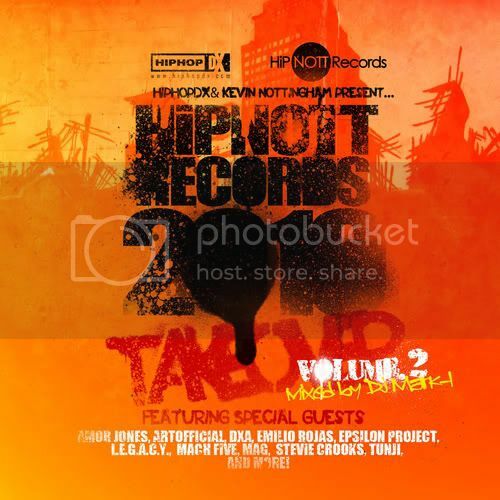 HiPNOTT Records 2010 Takeover Vol. 2 talent includes ArtOfficial, Amor Jones, DXA, Emilio Rojas, Epsilon Project, Hawdwerk & Jansport J, L.E.G.A.C.Y., Mach Five, MaG, Stevie Crooks, and Tunji of the group Inverse, as well as HiPNOTT artists Cymarshall Law, Has-Lo, E Reece, Spectec & Amiri, Jermiside & Danny Diggs, WEB and The Movement Fam (Cee & Bekah, Notion, Tommy Gunnz).